Exactly, just because a product cost less than others…it doesn’t always mean is worse or bad. 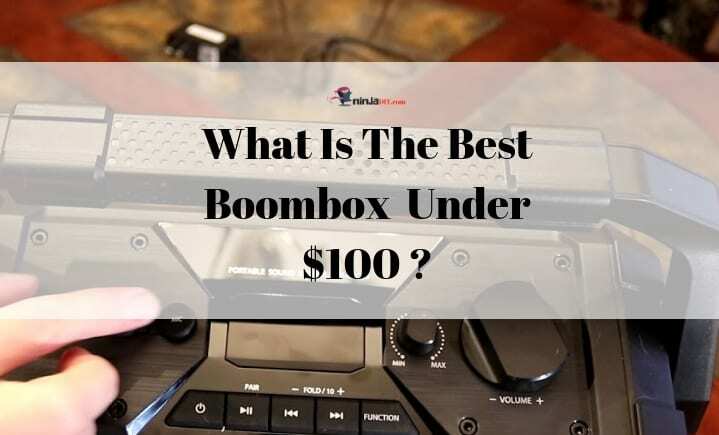 ☛ Just before we go more in-depth here, if you don’t have time now to read this article, you can bookmark it and read it later or … you can click here to see quickly what’s my favorite boombox under $100 over to Amazon. There are hundreds of models of boom boxes out there nowadays. 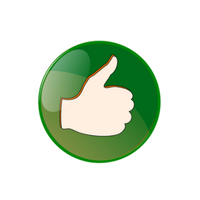 … I do have to say that in order to avoid disappointments, I’d suggest you go with the most known brands on the market. And AVOID like plague choosing the cheapest product that you can find on Amazon or wherever you like to buy your stuff. Having said that … now let’s go into it and see what are some of the most liked boom box players. The first portable speaker that I have on the list is an Amazon Choice product. I consider this one to be the best value for your money, but is not my favorite. This Sony boombox model it's one of the most liked portable radio/cd players on Amazon. As you probably already know, Sony is one of the most known brands when it comes to quality sound products. The good thing about this one is that you can have a good quality brand radio/cd player without breaking the bank. It does what it says on the tin ... play music. Very simple, no-nonsense boombox that will allow you to listen music from your favorite CDs and even some old cassettes that you might have around the house. It's powered by 6 C batteries and as well you will be able to plug it into the outlet when you don't have batteries. 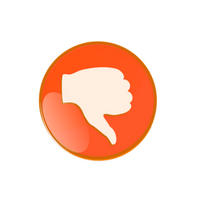 If you are tired of reading reviews ... I'd say this one is the best boombox that you can get for less than 100 bucks. You might like this one because of it's practical usefulness, reliability and its low price. The second boom box from my list is the G-Project G-BOOM which is a Bluetooth boombox. This boombox having all the basic features such as wireless Bluetooth connectivity, NFC amp, and FM Radio facility, you can now stream your favorite tracks just by a click of a button. This speaker made it to my top 5 list because it has some awesome reviews over the net, on Amazon and other sites like Ilounge for example. This boombox, although look quite rugged, I would not take it with me at work on a construction site. It's fine if you are doing DIY and home-improvement around the house. You will have a lot of fun enjoying great sound quality coming from this G-Boom boombox unit. Issues with the Bluetooth, not a reliable connection. A heavy-duty and water resistant Bluetooth boombox speaker from Toshiba. ... this seems to be the most rugged, the most heavy-duty one from this top 5 players list. So you can take it with you on your job site. By the way, here's a list of some of the best job site radio players that are specifically built for construction sites and similar harsh workplace environments. This little unit is one of the most reviewed boom boxes on Amazon. With over 2200 reviews I thought it might interesting to bring it in front of you so you can consider this one when you are browsing and looking one for yourself. The creators of this boombox are very confident with their product. They claim this little Bluetooth speaker it's not only resistant to water ... but to mud and snow as well. Making it a good option for those of you who work in dirty environments like construction or maybe suitable for those of you who like outdoors. Easily connect any device with a playlist to have continuous sound for any occasion. You might say that being so cheap ... this unit is a complete waste of money and time. This one, same like the first one on this list, the Sony boom box, it's a very simple portable CD/Radio player. Nothing modern, not even a Bluetooth connection. By the way, forgot to mention, this apply for the Sony as well. You can buy Bluetooth adaptor like this one for example so you can play your music from the phone or mp3 player. It is a loud boombox player to use in the backyard or doing DIY at home, but I won't say it's suitable for loud environments like construction sites. Although many people bought it and are happy with it, I want to remind you something that I've said at the beginning. There you have it ninjas. In conclusion I can only say that if you want a good job site/work-site radio player you should definitely stick with the Toshiba Trolley model. If you have the budget you should definitely have a look at other models and brands like Makita, Dewalt, Milwaukee, and so on. If you just want a good boombox player for around the house and you don't want to spend a lot of money, Sony is my second recommendation today. I hope this TOP 5 Best Boombox Under 100 Dollars article inspired you and helped you in some way. Please share with me your thoughts in the comments below. I'd love to hear what you have to say. What’s The Best Sounding Boom Box? Best Power Tool Kit For Homeowners | What Tools Should Have? 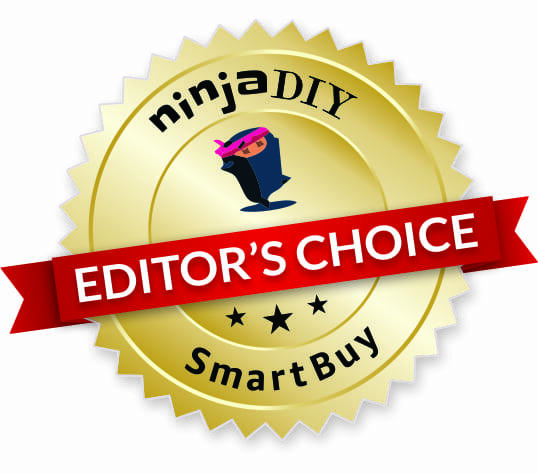 Content on ninjaDIY.com it’s protected by DMCA! If you ever need to use some of the information on this website please get in touch and we can happily talk about it!